Finding cheap dresses can be challenging. Though you want something that is affordable, you do not want to sacrifice quality and style. Ideally, you are able to balance style and price, but it takes patience and effort. If you are willing to do a little searching and shop a few unconventional places, you will eventually find cheap dresses for a variety of occasions. The little black dress is a staple in most closets and is usually the go-to dress for a variety of occasions. Finding the little black dress that is right for you can be tricky, but this is often the best clothing value in your closet. The little black dress is usually simple, so you are not paying for a great deal of embellishment. The dress is also suitable for numerous occasions, so your return on investment is fantastic. The website Revolveclothing.com has several cheap dresses, many of which are sold for less than $100. The dress styles are diverse and women of all ages should find something to suit their taste. Another website, Forever21.com, caters to younger shoppers, but they sell cheap dress with some available for as low as $20. Forever21 also offers shoppers a brick and mortar location, but the selection is likely smaller than online. A prom dress is often one of the most expensive dress purchases a person makes, but it does not have to be. There are many websites selling cheap dresses for prom and other special occasions. Some of the same websites, such as Forever21.com, that sell casual and everyday dresses also sell prom dresses. The dresses are advertised as party dresses, but are usually suitable for prom. Shopping for a “party dress,” as opposed to a “prom dress,” can save you a few dollars. 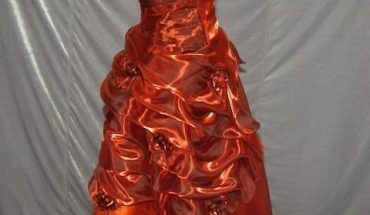 The website Prompartydress.com sells a variety of traditional style dresses for prom. Many of the cheap dresses on this site sell for less than $100. Weddings are expensive, so saving money on your attire can leave room in your budget for other expenses. Both Freyabride.com and Davidsbridal.com offer affordable wedding dresses in a variety of styles and sizes. Many of the wedding dresses on these sites sell for less than $300, and it is possible to find gowns as low as $99. Buying your gown online can be tricky, so do your research. Consider shopping in person before buying online. Visit a bridal salon for ideas and size guidance and then shop online. David’s Bridal allows brides to try on dresses at their brick and mortar stores, so you will know exactly what size and style you want to order online. Prices will initially be the same, but as the fashion season changes, you might be able to get your ideal cheap dress for a lower price online.